Lynsey Addario is a force of a woman. An American photojournalist whose work appears regularly in The New York Times, National Geographic, and Time Magazine, her accolades present themselves as a sort of wish-list of career achievements, having received both the MacArthur Genius Grant and the Pulitzer Prize in International Reporting. She has covered conflicts in Afghanistan, Iraq, Lebanon, Darfur, and the Congo. In a field dominated by men, Addario has found access to quiet societal moments in a way that her male counterparts couldn’t have. This included her award-winning work documenting time spent in all-women hospitals and secret schools operating under the rule of the Taliban. Addario has also been kidnapped while on assignment – twice. The most recent of which was in 2011 Libya with three other photojournalists. Held captive for a week, she wrote about the experience and her decision to return to the field in her memoir, It’s What I Do: A Photographer’s Life of Love and War. Borne witness to some of the most critical moments in our cultural and political history, Addario has been quoted saying, “Photojournalism is about reading human beings.” This sentiment shows. Her portraits carry a disarming beauty and gravity. Never just snapshots of a situation, they are searing searches of a soul. Her photographs implore the onlooker to linger, to soak in, to feel. Noor Nisa, eighteen (right), in labor and stranded with her mother in Badakhshan Province, Afghanistan, November 2009. Her husband’s first wife died during childbirth, so he was determined to get her to the hospital, a four-hour drive from their village. His borrowed car broke down and I ended up taking them to the hospital, where Noor Nisa delivered a baby girl. In a world where photojournalism has historically been accused of being cold and detached, Addario’s photographs are connected and informed. She works to understand the culture in which she engrains herself, respecting its customs, battles, and triumphs. While photographing one woman’s four-hour journey to her village’s nearest hospital, it was Addario who drove the family the remainder of the journey when their own car broke down. Addario’s newest book, Of Love & War, contains over 200 photographs taken over the past two decades across the Middle East, South Asia, and Africa, many of them documenting the remarkable and resilient women living and working in the midst of conflict. As a reader flips through the images, essays, and ephemera bound within, several messages are driven home: that intimacy has the uncanny ability to unveil truth. That the devastation of war wears on the spirit of every civilian. And that our world is filled at once with chaos, complexity, and beauty. 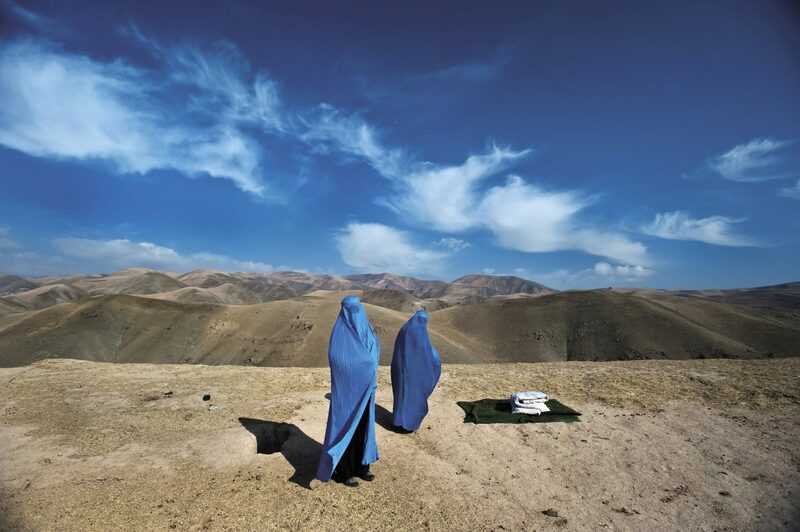 The Arch is proud to present a selection of photographs from Lynsey Addario. If you’re interested in owning your own copy of Of Love & War, it is available for purchase here. 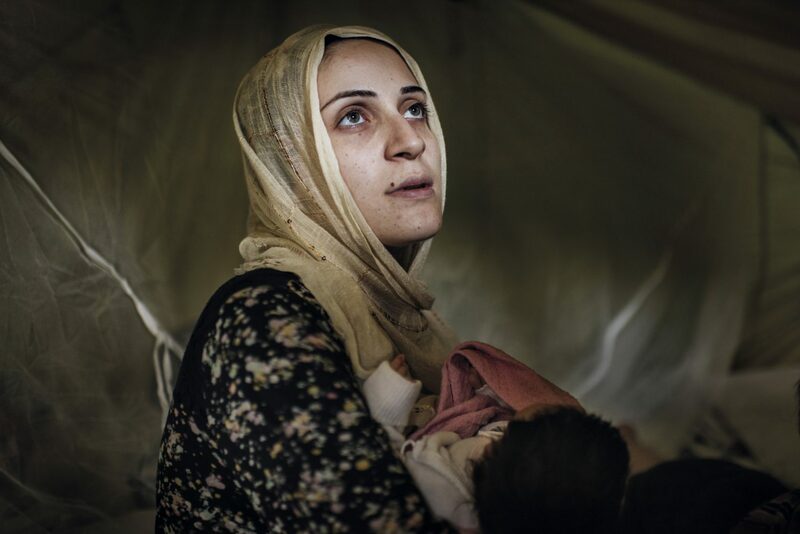 Taimaa, twenty-four, with her week-old daughter, Heln, in a refugee camp in Thessaloniki, Greece, September 2016. 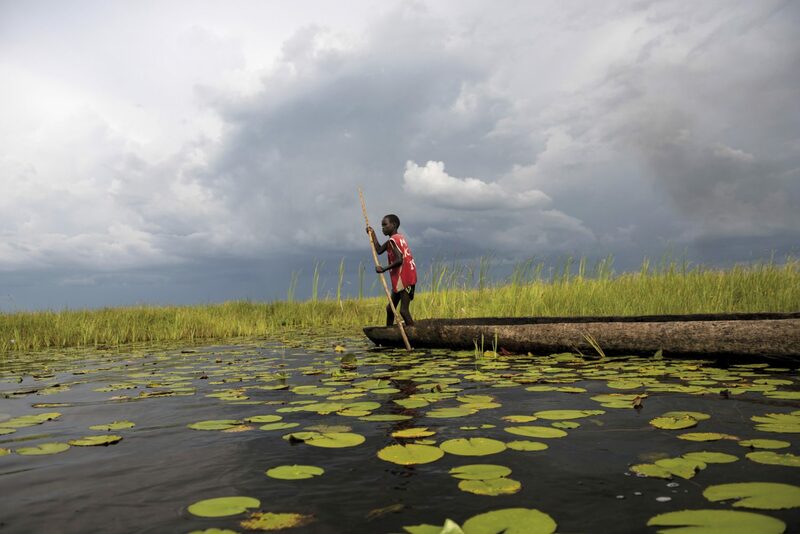 Chuol escaped into a vast swamp in South Sudan where fighters swept into his village, September 2015. 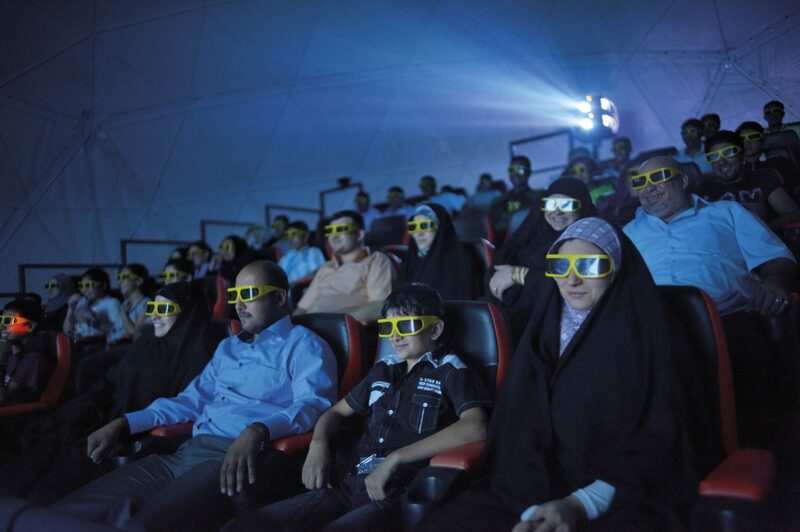 Iraqis watch a 3-D movie in Baghdad, February 2010. 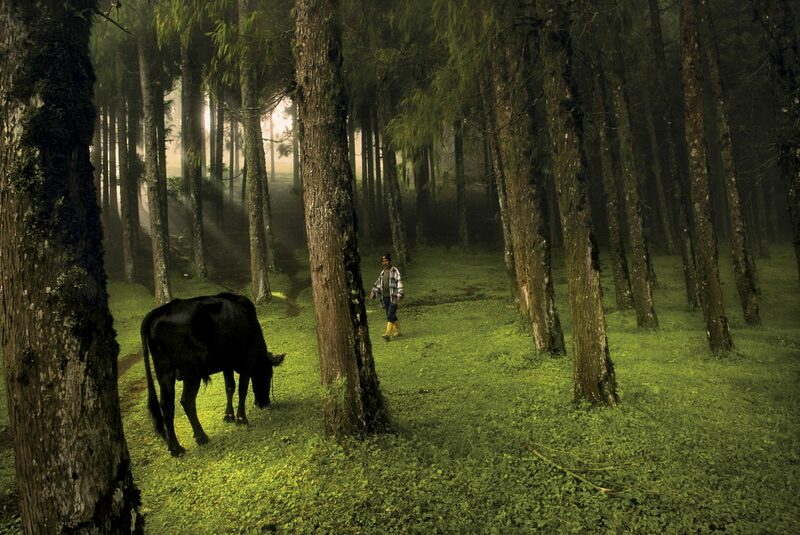 A man walks through a forest in Rethung Gonpa village outside of Trashigang, in east Bhutan, August 2007. 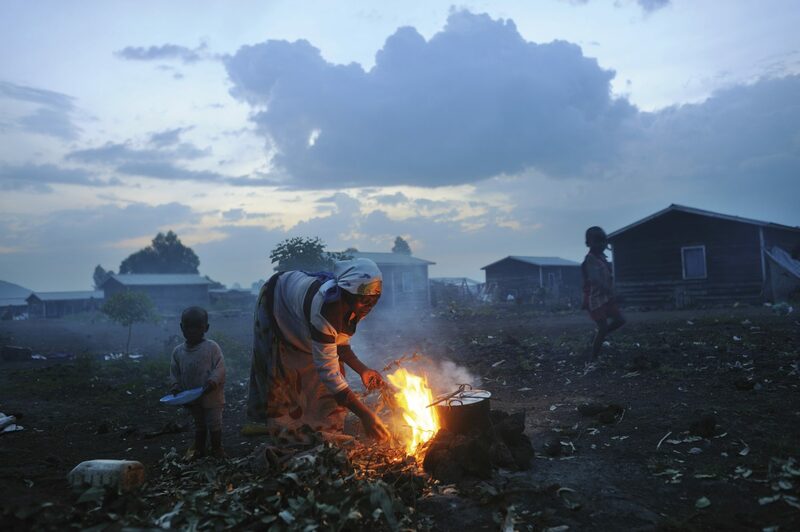 War and its toll in the Democratic Republic of the Congo, 2006-2008. 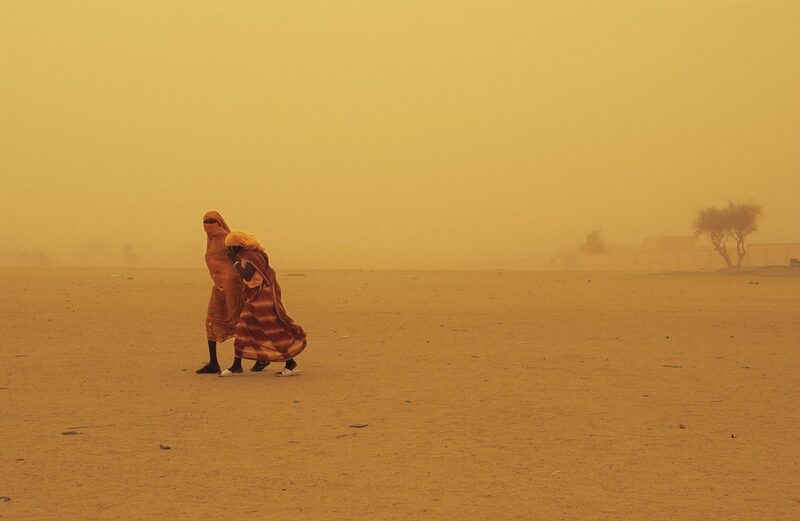 Two women walk through a sandstorm in Bahai, Chad, along the border with Darfur, Sudan, August 2004. 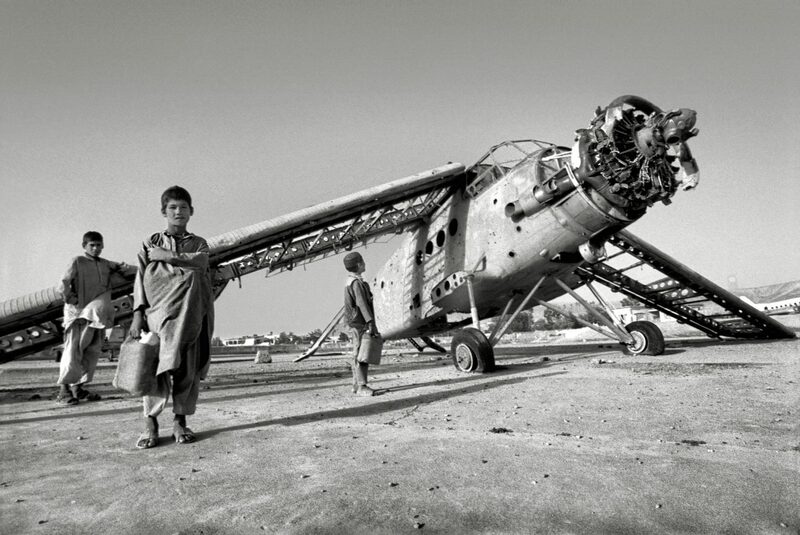 Boys play around a destroyed plane left over from the Soviet Afghan War in Kabul, Afghanistan, May 2000.